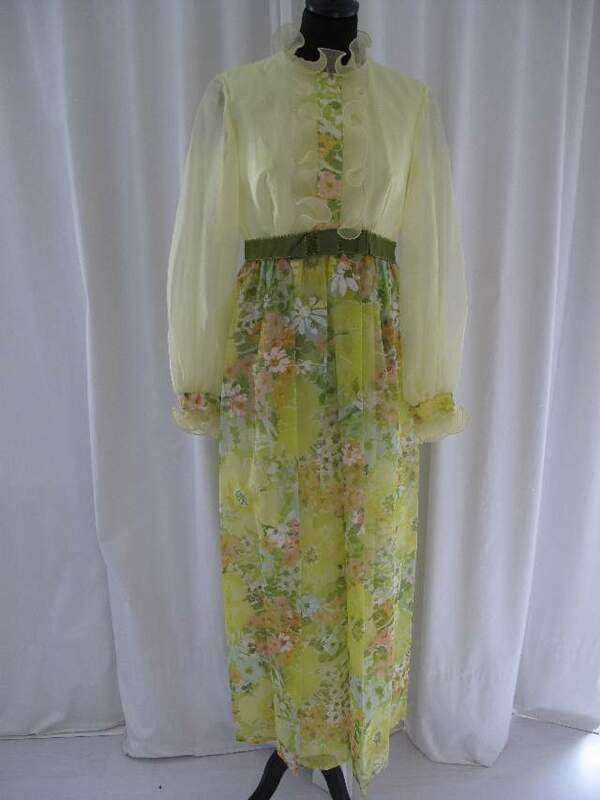 Late 1960 s Lemon and daisy print chiffon vintage gown. 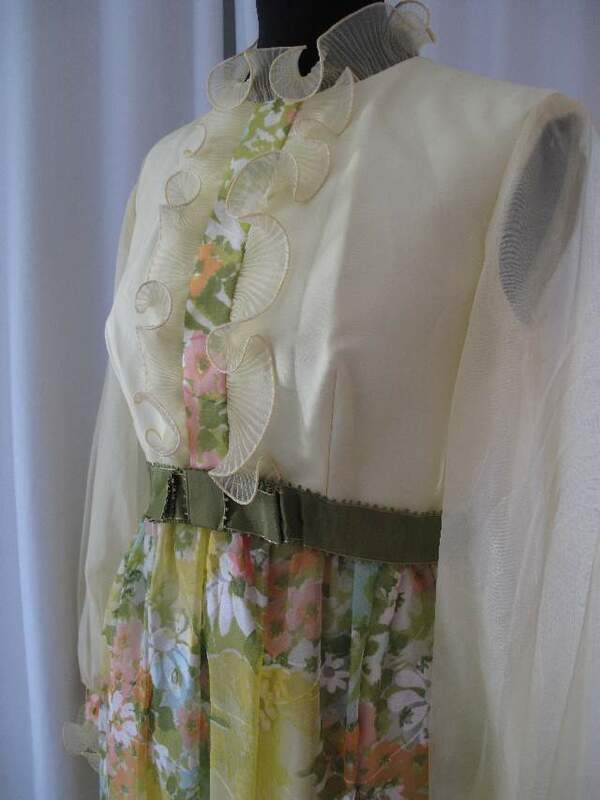 Late 1960's Lemon and daisy print chiffon vintage gown. 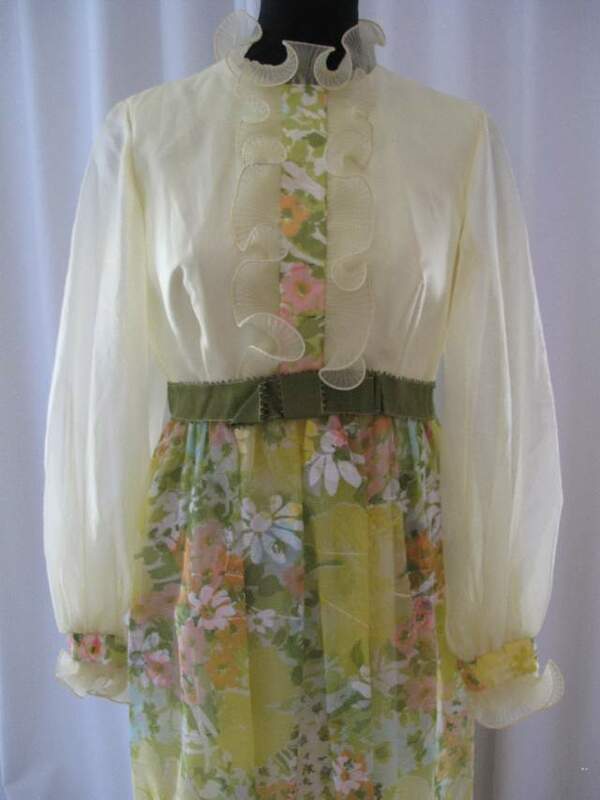 Late 1960's Lemon and daisy print vintage chiffon gown. Karen Carpenter springs to mind.............. 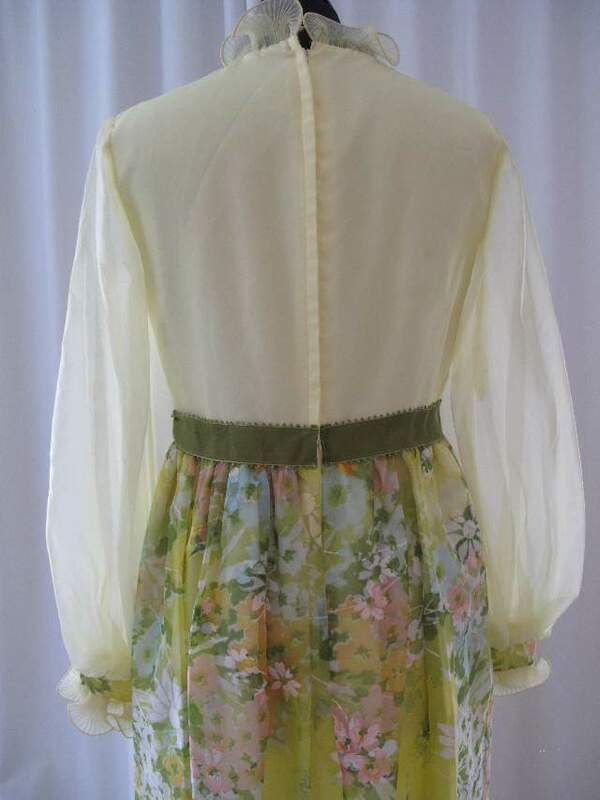 Lemon chiffon bodice with sheer gathered sleeves, crystal pleated frills at cuffs and neckline/bodice, trimmed with printed panel. 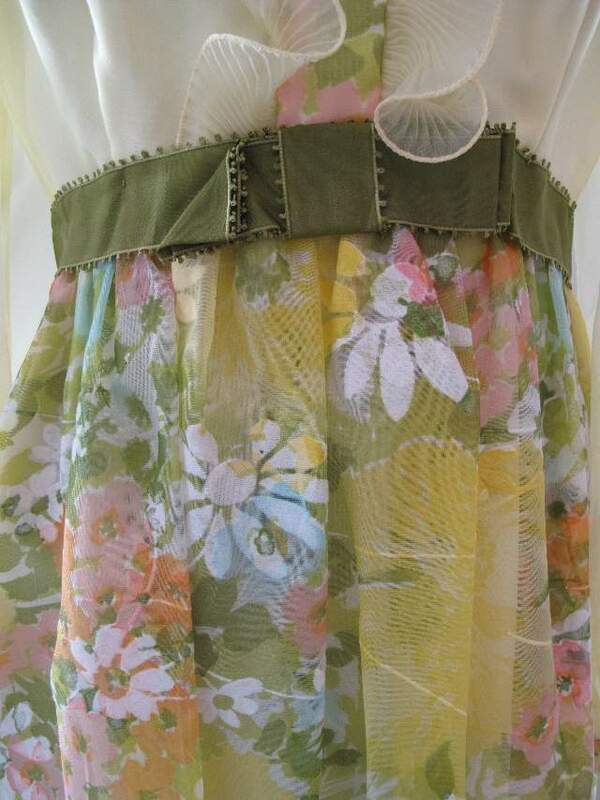 The waist has an avacado green ribbon trim, with flat front bow. The full length skirt is slightly gathered with a print on chiffon, of white daisies, peach marigolds and large lemon poppies, with fauna in shades of green.